In the South African school context, the textbook serves as an indispensable, trustworthy source of disciplinary content knowledge. While the constitution and vetting of such knowledge is subject to the state’s textbook publication protocols as it relates to screening for race, gender and other overt prejudices, there is a dearth of understanding of covert ideological hegemony embedded in the textbook as revered artefact. This programmatic curriculum, the school textbook, has received minimal attention from local curriculum theorists and researchers. As such, it is likely to masquerade as innocent purveyor of selected (or subversive) ideology. In an attempt to unveil the subtext, this paper reports on a study that set out to examine the discourses of globalisation that manifest in selected contemporary high school economics textbooks. The study draws on the tenets of Fairclough’s Critical Discourse Analysis, to reveal how particular knowledge selections romanticise globalisation through discourses of ideoscapes, financescapes and ethnoscapes, presenting and perpetuating a neoliberal discourse as normal and acceptable. 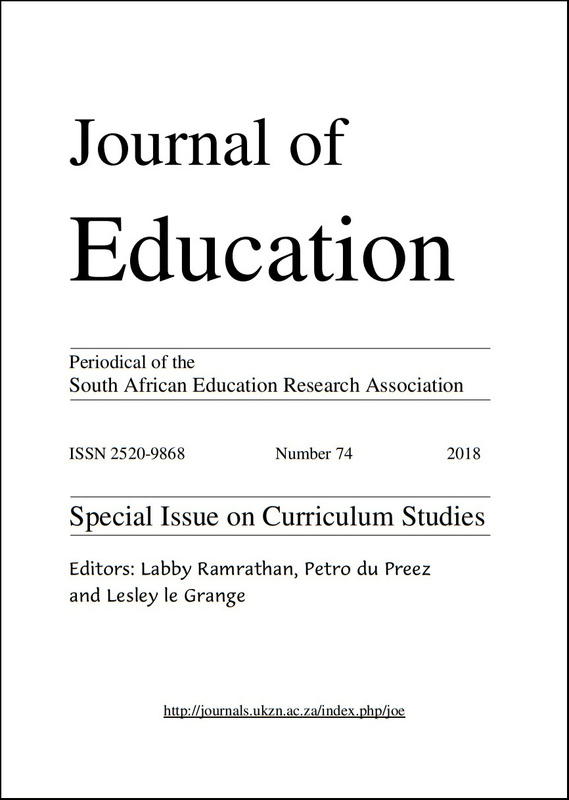 Reflections on how critical curriculum theory might offer insights for classroom pedagogy, especially as it relates to re-embracing the critical pedagogy project in the South African school context, is presented for contemplation.